Transmission: Continuously Variable (CVT) -inc: dual-mode paddle shifters, ECON button, ECON mode indicator, shift lever position indicator, sequential mode gear selection indicator and shift up/down indicator. Wheels: 16" Machine-Finished Alloy w/Black Inserts. 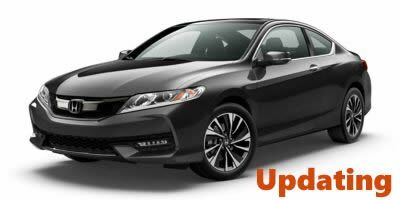 Radio: Honda Satellite-Linked Navigation System -inc: voice recognition, HD Digital Traffic and HD Radio, compass and turn-by-turn directions. Radio w/Seek-Scan, Clock, Speed Compensated Volume Control, Steering Wheel Controls, Radio Data System and External Memory Control. Heated Front Bucket Seats -inc: 2-level heating, driver's seat w/manual height adjustment, adjustable front seat-belt anchors and adjustable head restraints.